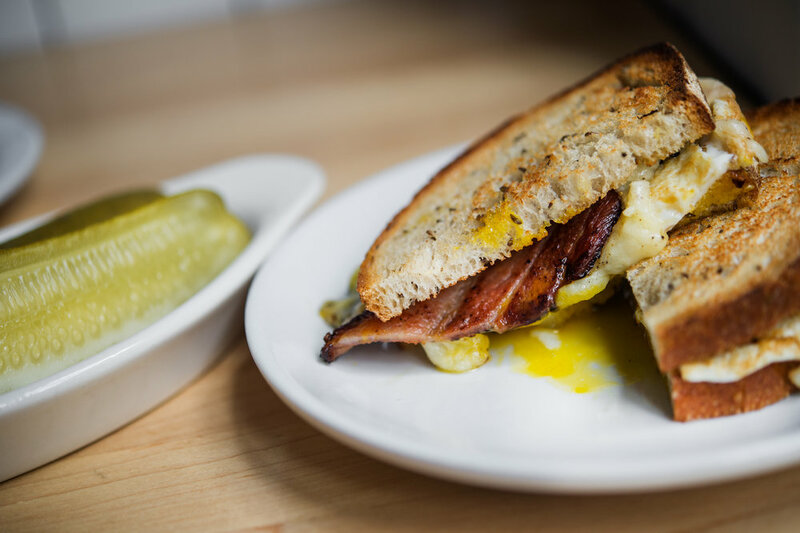 Mile End Deli started with a mission: to continue the legacy of our grandmothers’ cooking and introduce Montreal-style cuisine to New York. 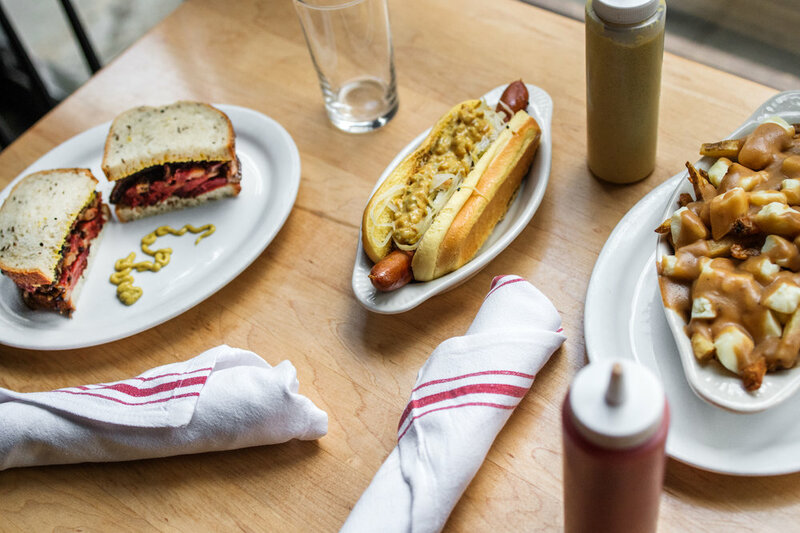 We opened the first Mile End, our tiny Brooklyn restaurant, in 2010 with a goal of sharing the classic Jewish comfort food of our childhood and introducing new type of cuisine. From here, in 2012, we opened our Manhattan outpost before heading South to open outposts in Nashville, Tennessee, and Birmingham, Alabama, in 2018. Using our grandmothers’ time-honored recipes as the foundation for our menu, we updated traditional dishes and focused on fresh ingredients and from-scratch cooking techniques. The restaurant is a combination of a Jewish delicatessen and a Canadian-style restaurant, modeled after delis found in Montreal’s famous Mile End neighborhood. 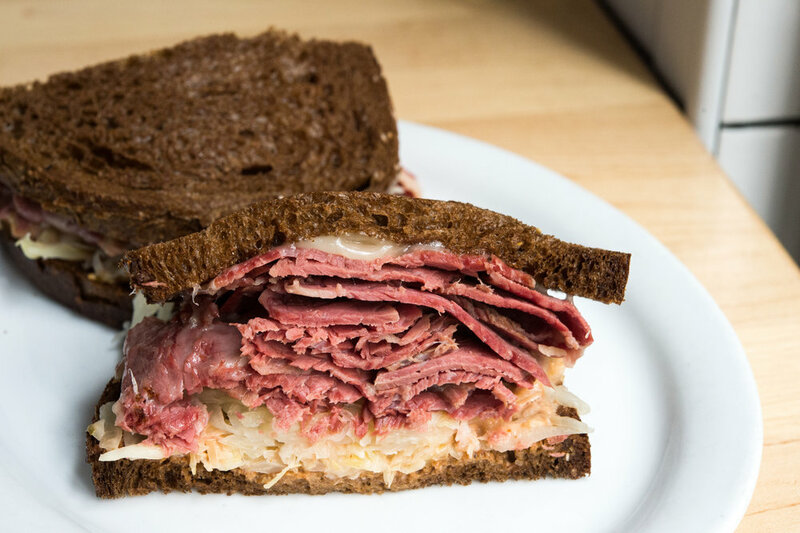 This specific style of deli inspired us to offer signature smoked meats and sandwiches, homemade hotdogs with tangy kraut, poutine, fresh whitefish salad and more. Since the beginning, co-founder Joel Tietolman has led the team, and it was his childhood in Montreal that inspired him to open Mile End. He’s always had a strong connection, respect and love for Jewish food, and got started in NYC’s food scene by schlepping bagels to the city from Montreal’s famed Saint-Viateur Bagel Shop once a week.